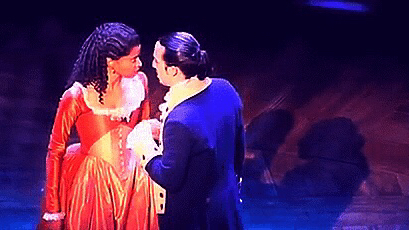 In the Broadway smash hit “Hamilton,” our hero meets his future wife Eliza Schuyler by first hitting on her sister Angelica with a very bold opening line. What’s interesting is her response, which demonstrates both the limits and nuance of language. The words of Angelica (as sung in the song “Satisfied” by Renée Elise Goldsberry, who won both a Tony award and a Grammy for her orginating portrayal) are obviously false in a literal sense — and deeply true. “You forget yourself” here is not a Zen instruction but a sharp rebuke, telling him he has crossed the line with his sexual innuendo, letting his id override his “self” (or socially acceptable persona). And it announces that she is lying when she says she doesn’t know what he means. If she didn’t know what he meant, how would she know he crossed the line? She knows exactly what he means, and doesn’t really disagree. (The exchange kicked off a close and flirtatious friendship between them, in real life as well as in the show.) As Angelica later sings to the crowd, her social task is to marry rich and she knows that Hamilton won’t do, despite her attraction to him. Her response is a masterpiece of nuance: letting him know that she is adult enough to know exactly what he means, respectable enough to brush off his blunt come-on (publicly, at least), and subtle enough to keep him engaged going forward. The Tao Te Ching (Daodejing) famously starts out by telling us that the Dao that can be expressed in words is not the (true, lasting, whole) Dao. And there are no words that could sum up her literal response to his faux pas, her mix of yearning, shock, amusement, attraction, scorn and fascination. But she was wise enough to say all of that with the wrong words.